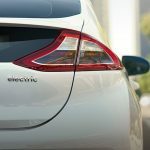 The all-electric model features a 28 kWh lithium-ion polymer battery (LiPo) that delivers an EPA-rated all-electric range of 124 mi (200 km). 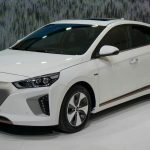 Hyundai expected the Ioniq to deliver a range of 180 km (110 mi). 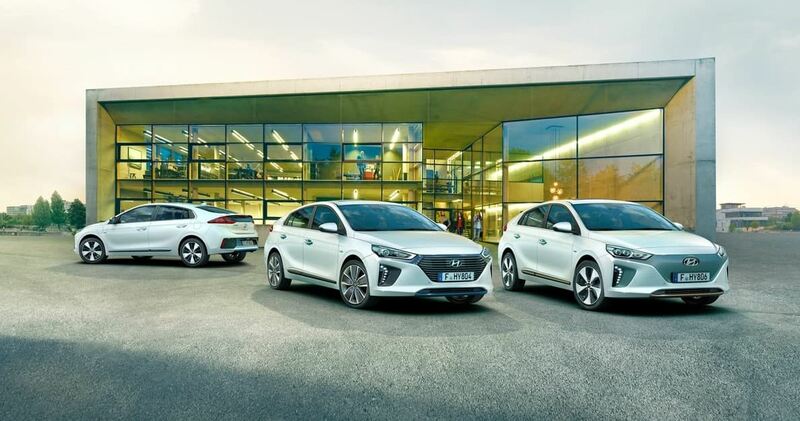 The Ioniq Electric has a 88 kW (120 PS) electric motor with 295 Nm of torque, and can be charged up to 80% in 24 minutes at 100 kW with a DC fast charging station. 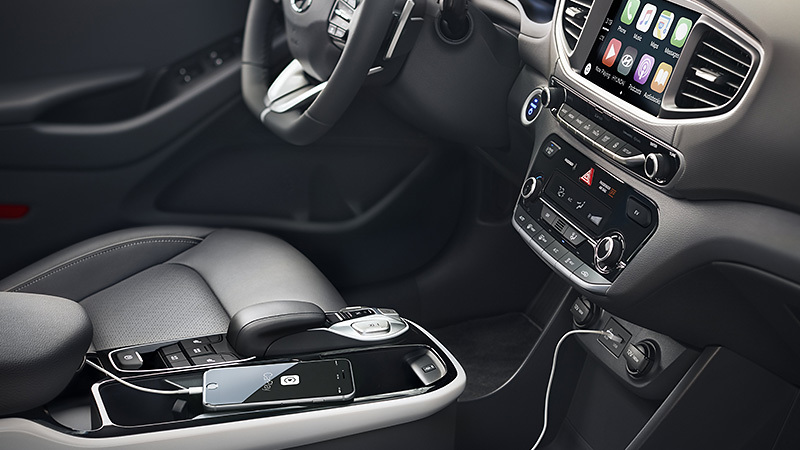 An integrated In-Cable Control Box (ICCB) also allows drivers to charge their Ioniq at a regular household outlet. 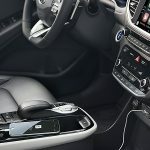 The charging plug of the car is located in a position where gas fillers are normally located. 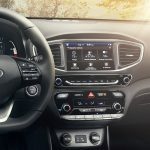 The Ioniq features paddle shifters to allow drivers to choose from one of four levels of regenerative braking. 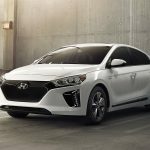 Similar to the Nissan LEAF, the Hyundai IONIQ is an attractive fully electric car with a great value. It seems a little more luxurious and larger than a Nissan LEAF, but I didn’t have a ton of time with it. 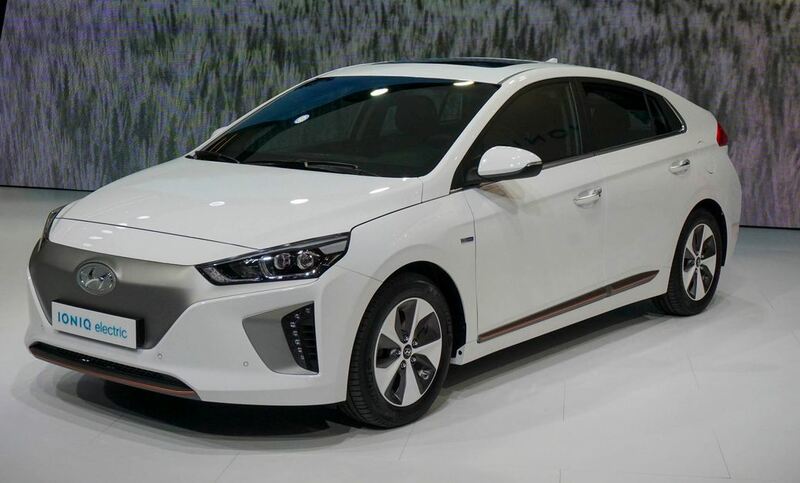 I’m sure some people prefer the styling of the IONIQ, but I personally am not thrilled by it (it looks very plain/boring to me) and prefer the LEAF, but it’s not bad, especially in person. 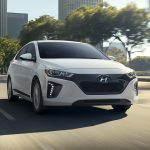 The handling of the LEAF also seemed a little nicer to me — the Hyundai IONIQ steering is “softer” than I like. But, again, I had just a short time with the car. Short range but amazing price! I mean, it’s no Chevy Bolt (which gets double the miles) but it’s definitely a bargain. The driving dynamics aren’t amazing, but overall the Ioniq is a reliable EV with a great range. 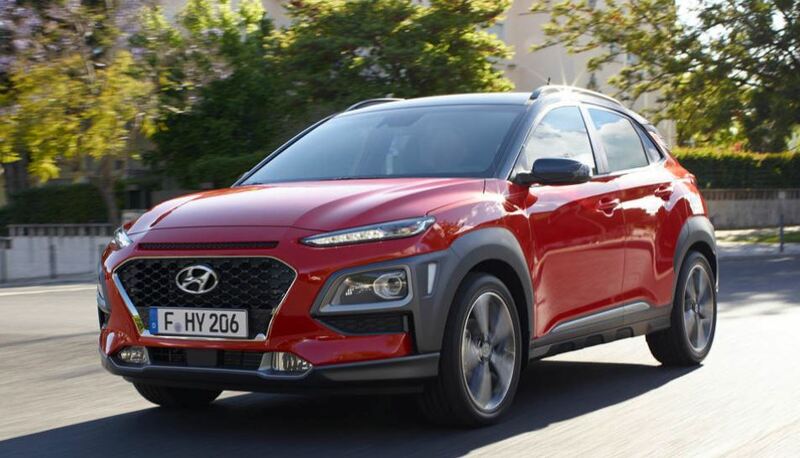 The suspension is a bit firm and the braking is sharp and jittery, but it makes up for it with an incredibly fast acceleration, a roomy interior, and long range… ideal for those who have a longer commute! Great performance, gives the Toyota Prius a run for its money. Can be loud on the motorway and the middle back seat is a bit too narrow for a full grown adult, but otherwise great value.